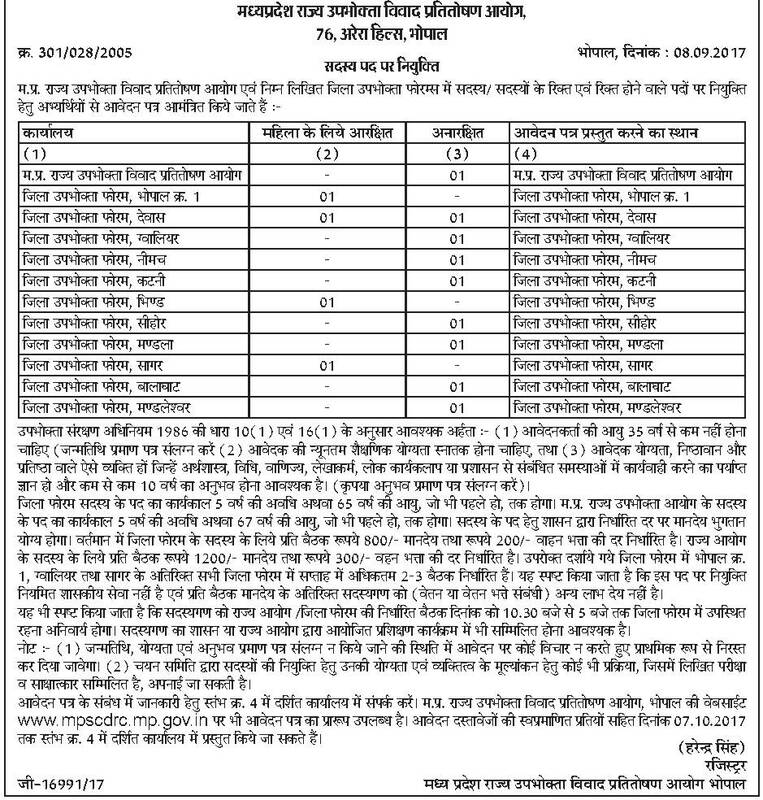 MPSCDRC Jobs Recruitment 2017 - Madhya Pradesh State Consumer Disputes Redressal Commission Has Published Job Advertisement For 13 Members Posts, Kindly Request To All Candidates That Read All Important Content Of This Job Carefully Before Applying For This Job And Last Date For This Job Is 07-10-2017. Age Limit - Candidates Applicant Age Should Not Exceed 35 Years. Age Relaxation As Per Rules Will Be Applied. For More Information On The Age Of The Posts Published Advertisement. Find all latest MPSCDRC MP Govt Jobs Recruitment vacancies notification only in rojgar dhaba website. Latest upcoming vacancies in Indian Government jobs for the departments of Madhya Pradesh State Consumer Disputes Redressal Commission Govt Jobs open that given links to know more details. Please bookmark this page to attain all upcoming vacancies in Indian government.